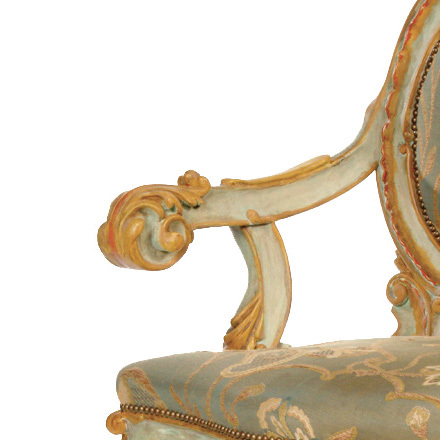 The robust form of this chair relates to those provided for the Neues Palais, Potsdam, in the 1760’s. 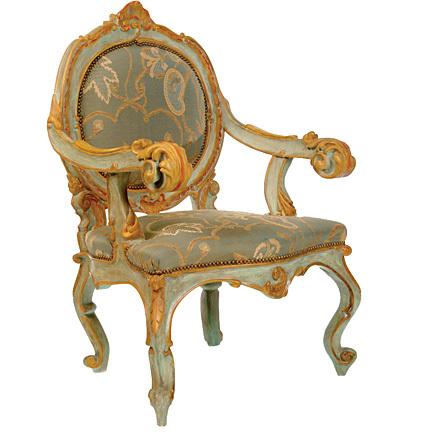 This decorated armchair with green and gold-painted wood is thought to be Potsdam, 19th Century. 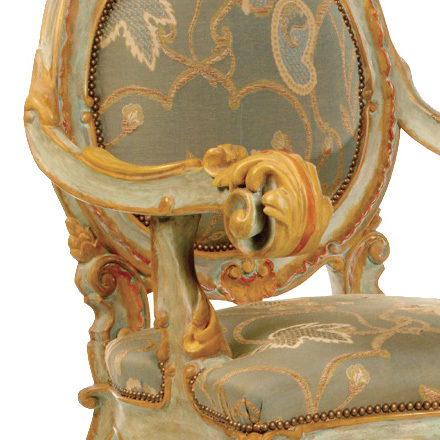 This serpentined and medallion-backed fauteuil, with shell cartouches and scalloped enrichments merged with Roman acanthus, relates to the mid-18th Century “Rocaillen” furniture patterns published in Augsburg by Johann Georg Hertel. The original chair is in the collection of Mr. and Mrs. Gordon Getty, San Francisco. 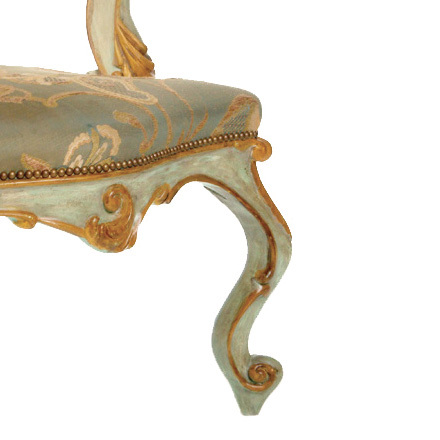 Available Finishes | As shown painted in several colors, heavy glaze, distressed. Other finishes please inquire.